Easy and quick to make, this dessert is perfect for a last minute dinner party. Beat the cream cheese, sugar and yoghurt in a bowl using an electric whisker. Break the biscotti into bite-size pieces and place a layer on the bottom of each serving glass. 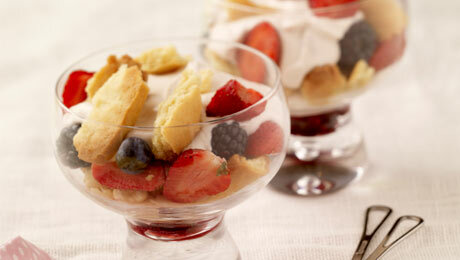 Layer some mixed berries over the biscotti and top with the cream cheese mixture. Repeat layers if necessary and serve immediately.